Welcome to the world of Michelle Darnelle: a money-hungry, cut-throat, business magnate who is sent to jail for insider-trading. From the richest woman in the country to a convicted felon with frozen assets, Michelle attempts to climb back to the top by working with her former executive assistant to turn a small Girl Scout brownie project into a full-blown business. The Boss is a hysterical comedy led by the all-star cast of Melissa McCarthy, Kristen Bell, Peter Dinklage, and Kathy Bates. 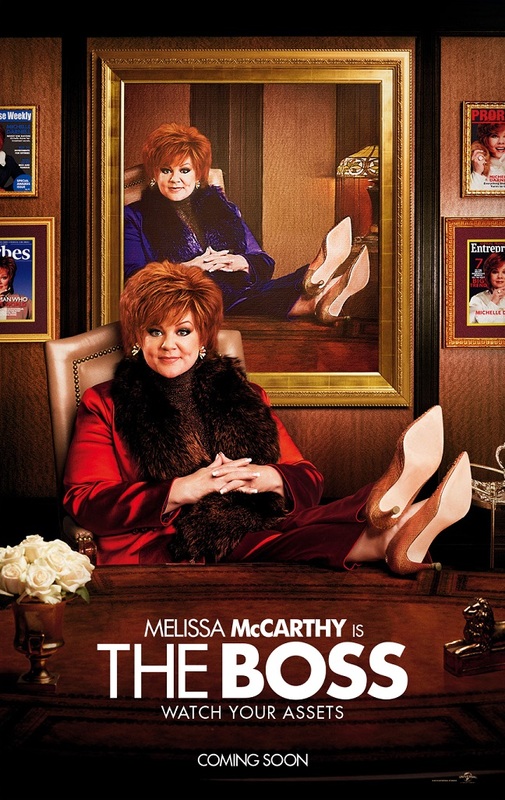 Produced by the likes of comedy-king Will Ferell, and husband-wife tandem Ben Falcone and Melissa McCarthy, “The Boss” is a ridiculously entertaining treat that will make you think twice about your boss, believe in women empowerment, and possibly leave you craving for brownies all at the same time. Catch “The Boss” in SM Cinema beginning June 7. For ticket inquiries, visit www.smcinema.com or call 470-2222 more information.